These are some things that I have used or use to take care of my body over the years. Some are pretty basic and some are a little more "industrial grade". Feel free to ask me about any of them or even stop by some time if you want to try one of them out before buying them. Here is a nice testimonial: We therapists at Massage Market are not ones to go wild over a product and show blatant favoritism, but we think the Thumbby is probably the most ingenious massage tool ever developed. Not only does it increase the pressure you can exert when performing massage, thereby saving your hands/thumbs, but it is AMAZING at self-care for therapists and clients alike. It sticks to the wall so you can use it to hit your own trigger points, you can sit on it to hit sciatica hot spots, you can safely cross fiber in tender tissue areas as the material is much softer than hard plastic or wood and it is much less likely to bruise the tissue, you can put it point-up on the floor and work your plantar surfaces for a terrific foot massage, you can heat it in hot water or in a moist heat heating pad (not the microwave!) and run it over the body like a hot stone, etcetera, etcetera, etcetera! Easy to clean with soap and warm water or an anti-bacterial wipe. 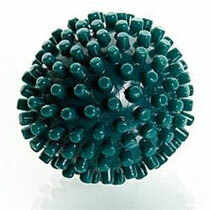 Get the revolutionary new R8 massage roller and keep your legs fresh, healthy and recovered. The patented technology self adjusts to different leg sizes and targets the quads, hamstrings, IT-bands, gluteus, calfs, shins, hip-flexors and more. 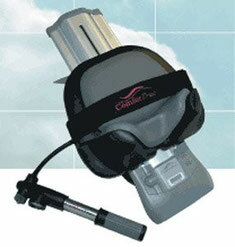 Company Information: The ultimate tool for self massage of the neck and shoulders. 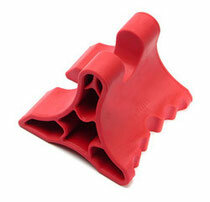 Specifically targets trigger and pressure points. Easily adjusts to fit different body types. This handy massager bends so you can get at those hard-to-reach places on your back, shoulders and neck. It has two round massaging knobs that can be adjusted according to the area you are trying to treat. 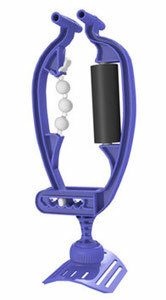 Use the strap to help move the massager where you want it. Also good for calves, waist and other places you build tension. 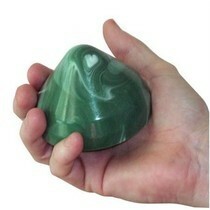 My Thoughts: These are great for "rolling out" large muscle groups on yourself or on your partner. I would consider them industrial grade and only for the person that wants some pretty deep work. Remember though, just like the foam roller, you can over do things with this tool. If you are grimacing or contracting the muscle because it hurts too much, you are probably doing more harm then good. I love this machine! 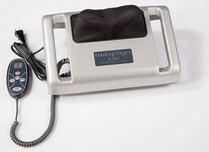 The Kneading Fingers by Clark™ has two powerful and unrelenting rotating "thumbs" that deliver incredible pressure to the areas that you need it the most. I have had my 2000 (the older model) for over 6 years and I have used it heavily...it is still going strong. The new model sells for $200 on Amazon.com which seems a bit pricey, but is the best product of its kind and I have used mine heavily for over 6 years! They do offer a "90 day money back guarantee" as well. This is is another one of those "industrial grade" self-care tools that can help you relieve headache pain and soothe tired, sore muscles. It can help relieve stress, muscle spasms and trigger points. It can also be used quite effectively on the low back, subscap, hip rotators and sole of the feet for plantar fasciitis and just the proverbial tight arch. It has three very different working areas so you can try different approaches to get the relief you are looking for. I would try the "Soft Tool" before the harder version and if you are in the area, you can always stop by my massage practice and check one out for yourself before purchasing on Amazon. This strange looking but beautifully designed device is truly wonderful tool for anyone that has tension in their forearms, like massage therapists and computer jockeys! I use mine all of the time and I absolutely love it. You can adjust the pressure and the hardness of the tool and work at just about any level that you want.